I finally visited Candlenut at its new home at COMO Dempsey recently to tick off another Michelin starred restaurants in Singapore. 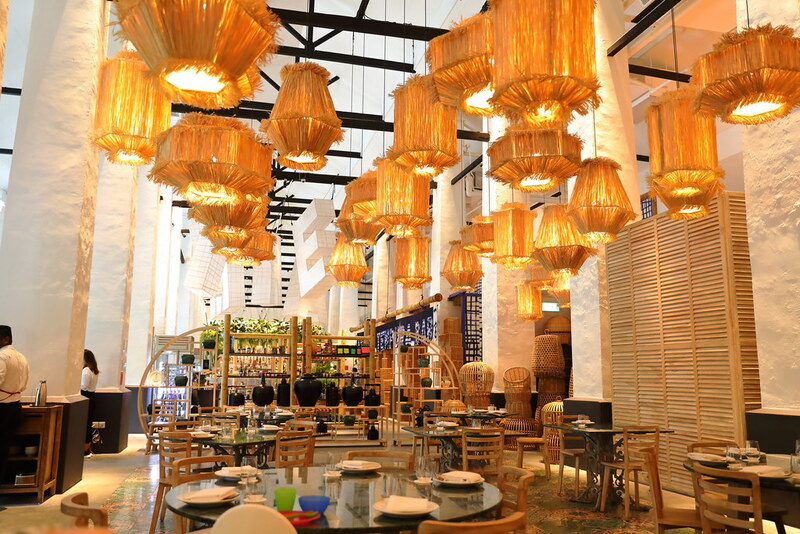 Candlenut helmed by Chef Malcolm Lee is the world first Peranakan restaurant to be awarded 1 Michelin Star in 2016 and 2017 in Singapore Michelin Guide. After placing our orders, we are served some complimentary Fish Crackers. By the way, if you notice the Sambal Belachan in the background, I have to pay $2 for it. It is not complimentary at Candlenut. I didn't know besides water, now restaurant also starts charging for chilli. 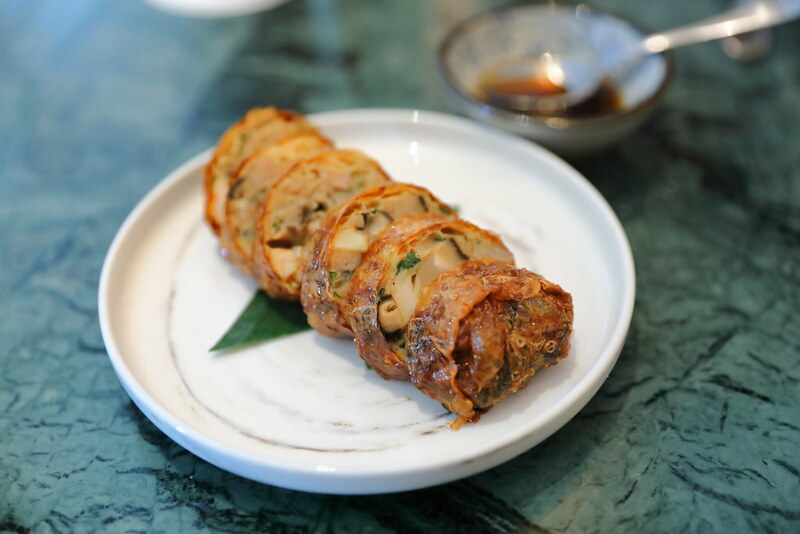 We started with the Crispy Beancurd Skin Ngoh Hiang ($16). The ngoh hiang is stuffed with minced pork, prawns and water chestnut. It is then wrapped in a thin layer of beancurd skin and fried to crisp. The version here is slightly different from the traditional, with more chunky textures at play which I enjoyed. The Kuhlbarra Ocean Barramundi Assam Pedas ($26) comes with baby lady's finger, eggplant and pineapple. Despite its fiery appearance, the dish is not as spiciness as it looks. The gravy was robust, having a good balance of sour and spicy. This complemented the piece of moist fish fillet excellently. A dish that I will always order whenever I visit a Peranakan restaurant is the chap chye. 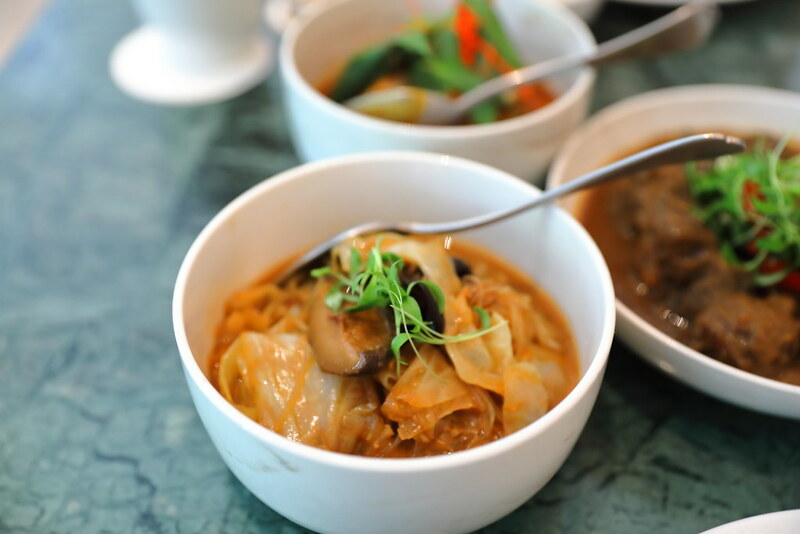 The Chap Chye ($18) comes with braised cabbage, black mushroom, lily buds, black fungus and vermicelli. The braised cabbage still retained a good crunch to it. 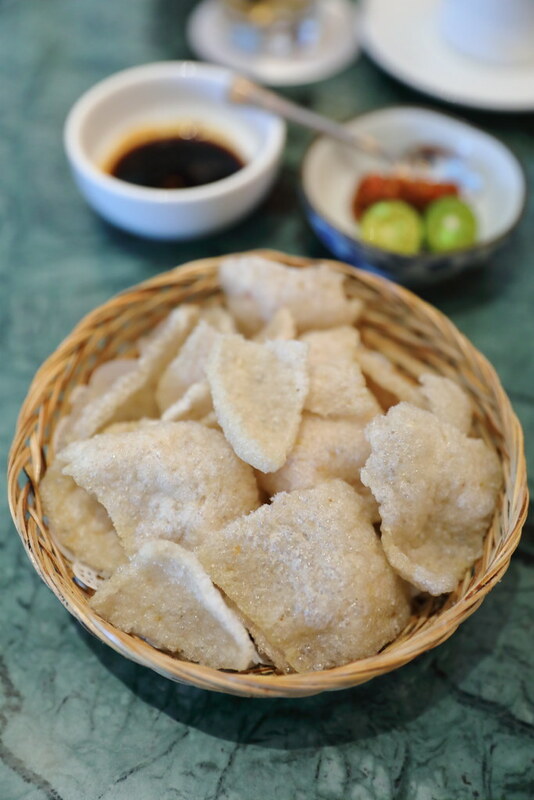 The used of dried shrimp and fermented bean paste accentuated the dish, but not overpowering it. This is probably one of the best version I have eaten. The Braised Iberian Pork Carrillera Pongteh ($24) was so tender that we doubt we were having pork In fact, we actually check with the staff whether it was beef or pork. The fork tender, melted in the mouth texture really got us confused. This is cooked in a preserved soy bean gravy that is packed with flavours, together with shitake mushroom and crushed chilli. 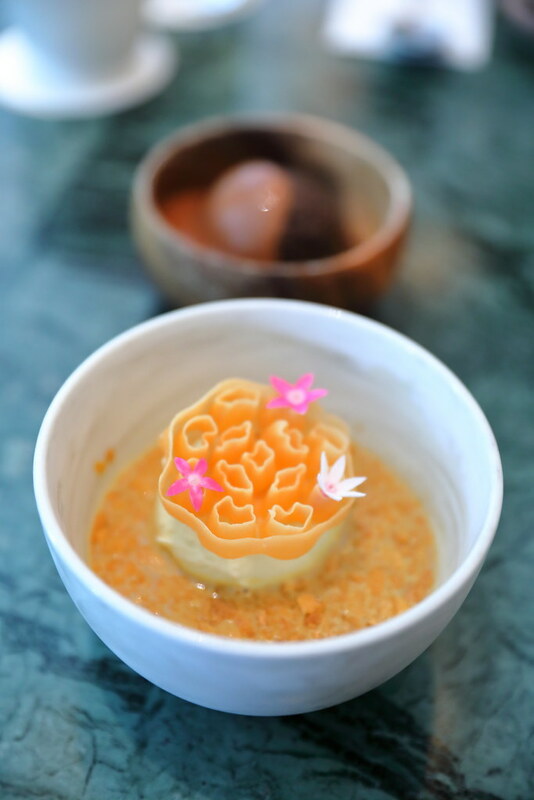 For dessert, we tried the Mai Shan Wang Ice Cream, Durian Puree, Kueh Rose ($15). The durian puree is quite sweet. So in order not to have a sugar rush, it is recommend to have a bit of everything today. This is a dessert made for durian lover. 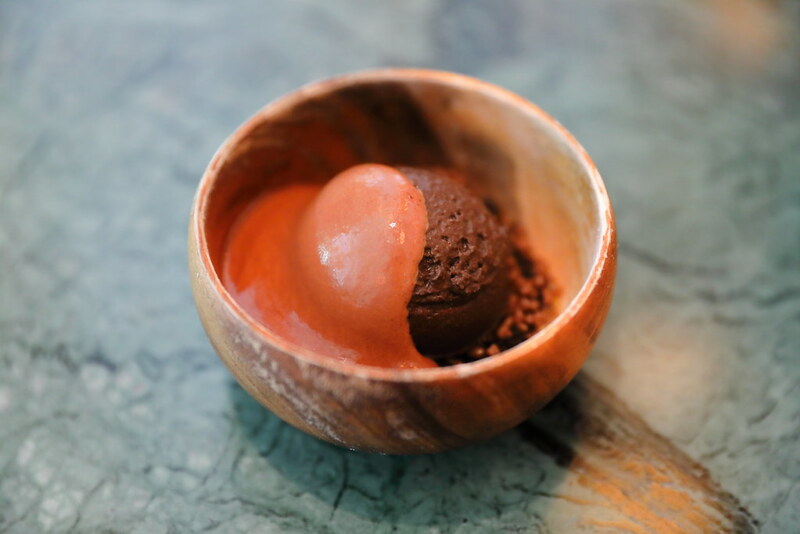 For the adventurous, you should try the Buah Keluak Ice Cream, Valrhona Chocolate, Chilli, Warm Chocolate Espuma ($15). I have not known that buah keluak can be made into ice cream. Not to mention the heavenly combination with valrhona chocolate. The buah keluak tasted like dark chocolate in the dessert. 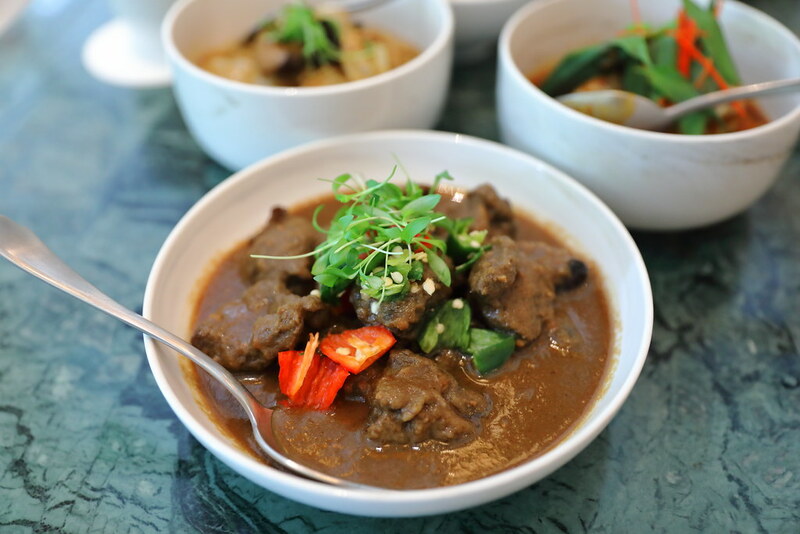 Overall I am really impress with the Chef Malcolm's interpretation of Peranakan cuisine. 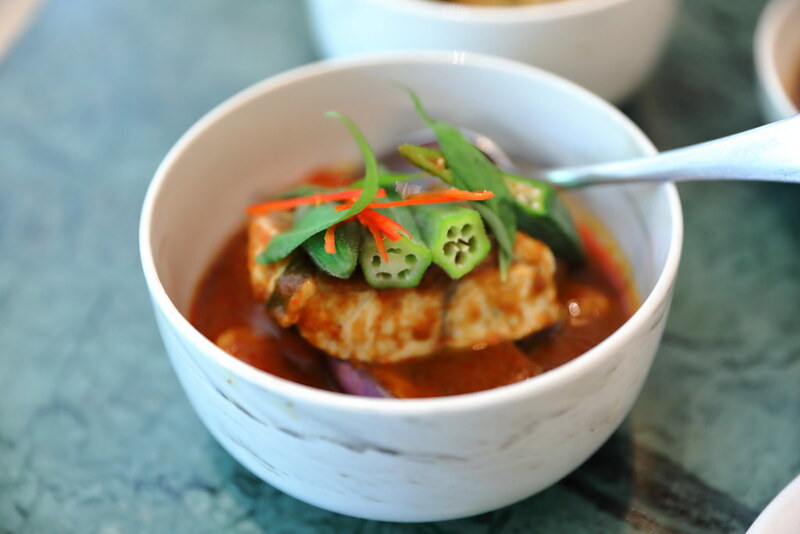 He has definitely elevated traditional Peranakan food to a new level that is acceptable to the international palate while not losing the its heritage roots.